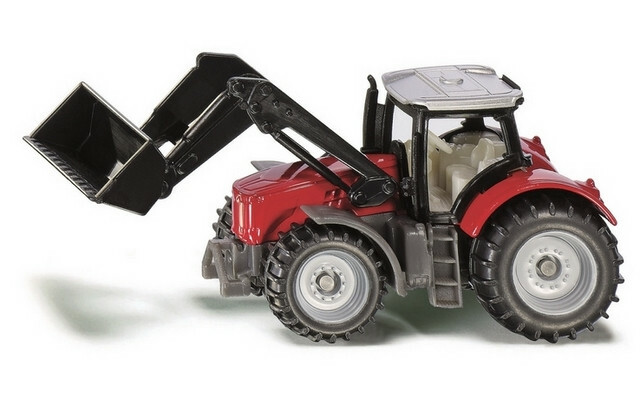 This is the newest Massey-Ferguson tractor with front loader in SIKU's small-size range. The model also features a free-moving front loader with folding arm. The removable cab and trailer coupling complete this miniature, multi-talented model.